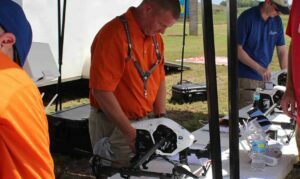 Avion Unmanned is a trusted and FAA-approved provider of training courses, services and complete solutions for unmanned aerial vehicles (UAV). Our team has a wide range of experience with a broad spectrum of UAV applications, including imagery, mapping, agriculture and first response, utilizing both rotary and fixed-wing aircraft. 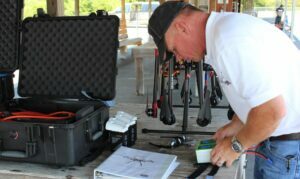 With an established military aviation-based training background, Avion provides highly experienced instructors and professional UAV education. 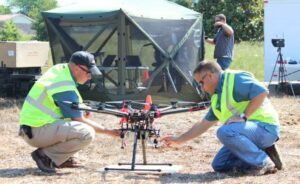 Our UAV training courses are FAA-compliant and can be customized towards specific aircraft with manufacturer-authorized instruction. Our training incorporates classroom instruction with aircraft and control systems, fl­ight simulators, and hands-on ground and fl­ight instruction. Training topics include airspace, aerodynamics, weather, emergency procedures, flight operations, regulations, and safety. 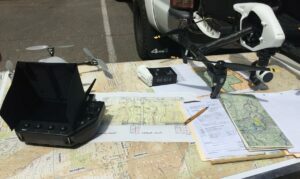 Level 1 (Basic) courses are designed for both novice and experienced UAV operators looking to better understand UAV concepts, regulations, flight operations and maintenance, and to learn how to safely utilize UAV for commercial applications. 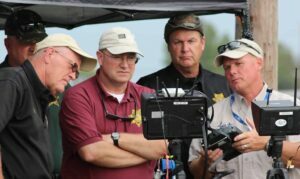 Level 2 (Advanced) and Level 3 (Specific) courses are targeted towards FAA-certified pilots with UAV experience. Level 3 courses are specifically tailored to the client’s needs, providing a focus on particular aircraft or mission types. One-Day UAS Seminars – briefing-based training on UAS capabilities, use cases and legal/safety issues for hobbyists and professionals. Avion has also launched an Online UAS Training Portal to bring our training material to remote customers in a convenient self-paced format. Utilizing a cloud-based TalentLMS (Learning Management System) in collaboration with seasoned aviation instructors, the portal currently offers courses in UAS Operations and Part 107 preparation, with training packages for specialized applications coming soon. We provide a full spectrum of UAV services for businesses requiring imagery, video and data capture and more. Our professional and experienced operators are FAA-certified, licensed and insured. We can efficiently get your UAV program off the ground and ensure that your operations are cost-effective, legal, and safe. 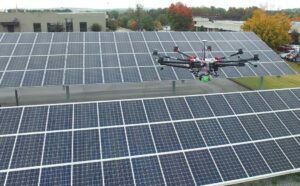 UAV are invaluable tools for inspection processes, providing otherwise unseen perspectives at lower costs than manned aircraft, and allowing access to areas that may be inaccessible by humans. Our aircraft can come within inches of a target and provide high-resolution imagery and actionable data. Our UAV can provide reliable, accurate aerial photogrammetry, with the ability to capture the data required for an entire project in a single flight. The imagery is entered into a software package that will stitch photos together to create single images, orthomosaics and other outputs. We can deliver a variety of outputs such as point clouds, terrain models, 3D models, volumetric and distance measurements, and stockpile calculations. Unmanned aircraft can capture aerial images and video at a lower cost and at closer distances than manned aircraft. Ideal for the property sale and lease markets, our UAV imagery solutions can stream footage live, allowing precise desired positions and angles to be chosen before photographs are taken. Our unmanned aircraft systems can help emergency personnel, public utilities and researchers gain enhanced situational awareness, providing real-time visual information. Multiple payloads can be deployed for a wide variety of missions, including thermal/infrared, spotlights, chemical/radiation detectors, audio message hailers, first aid kits and life preservers. Our precision agriculture UAV services can capture data with state-of-the-art infrared sensors and NDVI cameras, providing farmers with the information they need to make informed crop management decisions. UAV can gather data on field health, soil moisture, insect damage, weeds and crop yield. By submitting this form, you consent for your details to be sent to Avion Unmanned and its authorized partners in order to respond to your inquiry. Depending on the location of the organization, your personal information may be transferred and processed outside of the European Economic Area.